This is a 2018 Sportsman Open 232 Center Console, powered by a Yamaha F200 XB Motor. Electronics are a Simrad NSS9 EVO3 GPS/MFD's, Simrad RS20 VHF Radio w/ Antenna.  Options include Steel Blue Gel Coat Colored Hull Sides and White Bottom, Offshore Package, Deluxe Fiberglass Hardtop w/ LED Lighting, Freshwater Wash Down, Compass, Helm Pad, Spray Shield Enclosure, Gull Wings, Slide Out Cooler, Under Leaning Post Tackle Storage, Underwater Lights and more! This Center Console boat is in-stock and available for showings today. This price does not includes Freight and Prep,Taxes or Registration. We Are Open 7 Days A Week For Your Convenience, So Call Or Stop By For Quote.